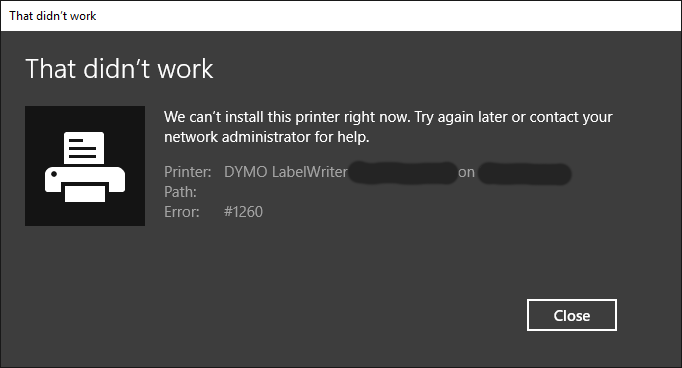 Windows 10 may prevent installation of networked printers after upgrading to Build 1730 (Creator’s Update). 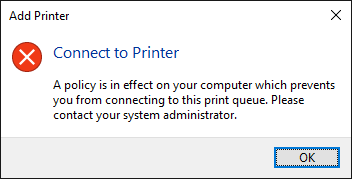 You may see error messages such as “A policy is in effect on your computer which prevents you from connecting to this print queue. Please contact your system administrator.”, and you may see error code #1260 when installing via Control Panel. This error is related to the new Driver Packaging Awareness requirements, released in 2016 under KB3163912. 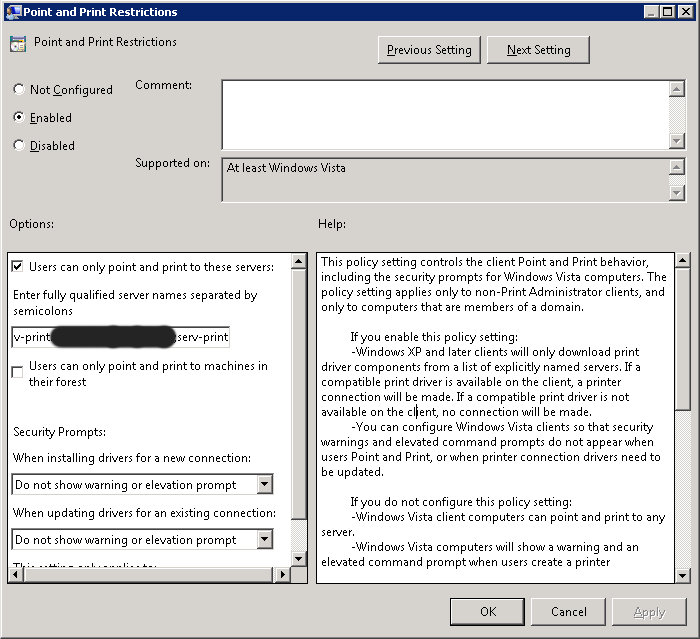 This could be resolved by configuring Point and Print policies in Group Policy. However, there was a subtle change to this in Build 1730. Point and Print Server Names must now include the FQDN and the NETBIOS name for all trusted print servers. Previously, you could just include the FQDN of your print servers. Now you need to include the shorter names as well. For example, if your FQDN is “serv-print.mydomain.local”, you also now need to include “serv-print” separated by a semicolon. Making this change, and running gpupdate, immediately fixes the issue with installing printers.